Shirdi sai baba was an Indian religious harbinger, his devotes also called saint, Fakir, and Satguru. Both his Hindu and Muslim devotees worshiped him, and even after his death, people of both Hindu and Muslim communities worshiped him. Sai Baba has no prestige in any one society. They had dedicated themselves to a true Sadhguru, people considered them to be the incarnation of God. People also know shirdi Sai Baba story at the global level. He had no attachment to mortal things and his main purpose was to give himself a sense of self. They used to teach love, mercy, help, social welfare, satisfaction, inner peace and devotion to God and the lessons of the Guru. None of the names and birth names of Sai baba have been known to date. Some people believe that he was born on 28 September 1835, but there is not enough documentation related to this. Often when he was asked about his past, he always used to give the wrong answers. The name "Sai" was given to him on his Shirdi, Shirdi is a village in the west of Maharashtra. Sai word is associated with religious monks. In many Indian and Middle Eastern languages, the word "Baba" was generally spoken in the address of big father, father, and an old man. That is why Sai Baba images considered people as a holy and religious father. Some of Sai Baba's followers also became famous during that time as a religious saint and guru, such as Mahalsapatri and Upasani Maharaj, priest of Khandoba temple of Shirdi. Other religious teachers also respected them, such as Saint Bidkar Maharaj, Saint Gangaigir, Sant Jankindas Maharaj and Sati Godavari Mataji. Saibaba used to call Baba his brother, in particular, he considered Swami Samarth of Akkalkot as his brother. 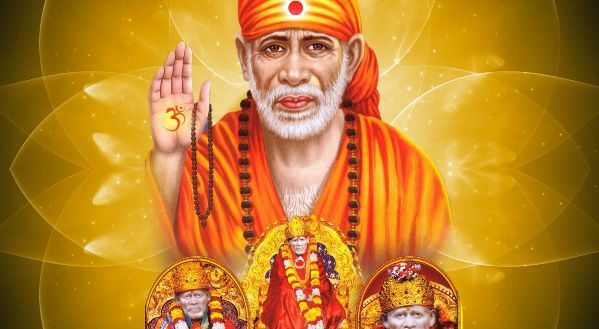 According to Sai Sattaritra, according to the book, when Sai was 16, only then came the Shirdi village of Ahmednagar district of Maharashtra state of Maharashtra. He was living life as a monk, and always used to sit down meditating under the neem tree or sitting in the seat and be absorbed in the devotion of God. Shri Sai Sattaritra has also mentioned the reaction of the villagers to the villagers. The people of the village were also surprised to see that 16-year-old boys constantly meditate because the cold and heat did not show any effect on their body. In the day, they did not meet anyone, and in the night they did not have any fear.His presence attracted the curiosity of the villagers, and every day he came to visit religious people like Mahasasapati, Appa Jogle, and Kashinath. Some people considered them mad, some people even throw stones at them. After that Saibaba had left the village and after this, the villagers got some of their information. According to the wise people, they met many saints and religious people and acted like the weaver. It is said that in the time of Indian revolution in the time of Rani Lakshmibai in 1857, Sai baba was also there. 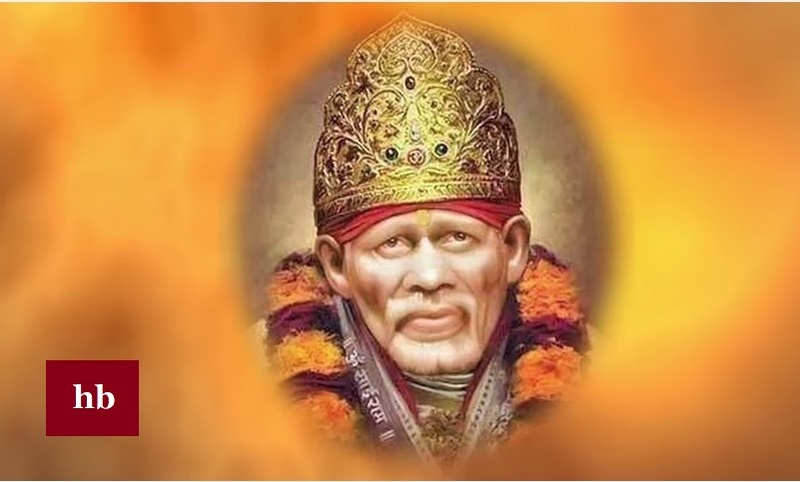 It is believed that Saibaba was the first Shirdi for three years and then had disappeared for a year and then for the first time in 1858 Shirdi had returned, in which his birth was stated as 1838. Sai Baba was born on 28 September 1835 in the Pathri village of Maharashtra. There is no information in Sai Baba's parents and childhood history. The first information about them is obtained from Shirdi village in Sai Satchrator book. Shirdi Sai Baba Sai Baba reached Shirdi village of Ahmednagar district at the age of 16. Here, he started living in a seat under a neem tree and started living austerity life. When the villagers saw him, he was shocked, because he had never seen such a young person doing such a strict penance. He was so absorbed in meditation that he had no feeling of cold, heat and rain. They have no one in the day and they were not afraid of anybody at night. His harsh austerity drew the attention of the villagers towards them and many religious people regularly came to see them. Some people called them mad and threw stones at them. Sai Baba one day suddenly went away from the village and nobody came to know. He stayed in Shirdi for three years and after that disappeared from Shirdi. After a year, he returned to Shirdi and settled there forever. Shirdi Sai Baba movement started in the 19th century when he lived in Shirdi. A local Khandoba priest, Malsawati, was his first devotee. Until the 19th century, followers of Sai Baba were only limited to Shirdi and nearby villages. Shirdi Sai Baba The first temple of Sai Baba is situated in Bhivpuri. 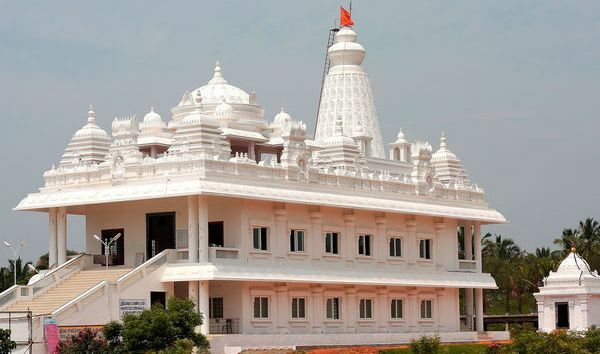 Puttaparthi Sai Baba Temple comes in 20000 devotees daily and this number reaches one lakh in the days of festivals. 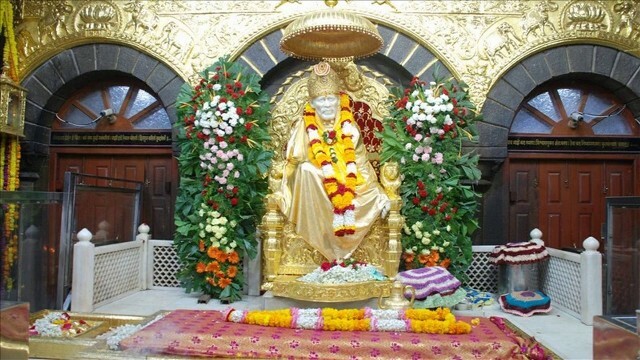 Shirdi Sai Baba, especially in Maharashtra, Orissa. In Andhra Pradesh, Karnataka, Tamil Nadu and Gujarat, in 2012, an unknown Shraddhalu first started in two precious Shirdi temples of 11.8 crores, which later the people of Sai Baba Trust told everyone. The devotees of Shirdi Sai Baba are spread all over the world. Sai baba Shirdi came back in 1858. At this time, they were wearing different types of clothes, on top, they dressed up their knees and wearing a cap of cloth. U One follower Ramgir Bua looked carefully and found that Saibaba was wearing clothes like a gymnast, along with his hair, his hair was quite dense and tall. When he returned to Shirdi after a long time, the people had found a new look for him. According to his apparel, he looked like a Muslim and people considered him both a Hindu and a Muslim. After returning, about 4 to 5 years, Saibaba used to live under a neem tree and often used to go to Shirdi's jungles for a long time. Because of being in meditation for a long time, they did not talk to people for many days. After sometime later, the people gave him an old mosque, where they used to begging people and used to visit them there, many Hindu and Muslim devotees used to come daily. In the mosque, they also used to burn holy religious fires which they named Dhuni, according to the people, there was a wonderful miraculous power in that fad; by that fate, Saibaba used to give up before going to his devotees. According to the logo, there was a great power in that uppercase given by Sai baba. 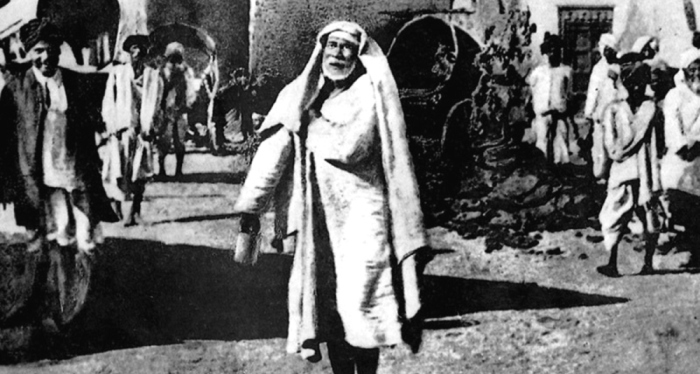 Along with the saint, they also played the role of a local hakim and used to cure the sick people with their fumes. Saibaba used to teach religious lessons also to his devotees and used to tell the Hindus to read the Quran and the Bhagavad Gita and the Muslims for the Quran. After 1910 Saibaba's fame spread to Mumbai. After this many people came to visit him because they considered him a miraculous and powerful incarnation and Baba. After this villagers made their first temple at Bhivpuri, Karjat. Shirdi Sai Baba Story was very fond of burning Sai Baba in his mosque and other temples, but for oil, he had to depend on the bears of his. They lit up each evening and took the donation from the beans. Sai Baba was tired of giving free oil and one day he refused to give oil to Sai Baba apologizing and said that he had no oil. Sai Baba returned to his mosque without protest. Now, in those days of water, they filled the water and burnt the wick. He kept burning till midnight. When the information reached the Bianis, he came to Sai Baba for the abundant apology. Sai Baba forgave them and said that do not lie again. In this way, Sai Baba performed his miracle and burnt it with water. Once a person named Rai Bahadur came to Shirdi to see Sai Baba aarti with his wife. As soon as the husband came to visit Baba, the rain began to rain. Bijlia began to crack, and the storm started moving. Sai Baba prayed "O Allah, stop the rain, my children are going home, let them go home peacefully". After that, the rain stopped and the husband and wife reached the house. Once, a three-year-old girl of Babu fell into the well and started drowning. When the villagers ran near the well, Sai Baba saw the baby was hanging in the air, as if an invisible hand held it and pulled it upwards. Sai Baba was very sweet to the girl who used to say "I am my sister's sister. "After this incident, the villagers said, "This is Baba's Leela". Apart from this, there was no explanation for this miracle. Sai Baba used to teach religious books from his devotees in his last days and explained the inner knowledge of that book. It was in the morning and evening every day.On October 8, 1918, Baba Sai became very weak. They sat on the wall of the mosque. Aarti and worship were like every day.Sai Baba was not allowed to go to the devotees who had become Baba ill.Some people earn money by showing a few tricks in the village with a leopard. The cheetah also became weak due to illness. When Cheetah came in front of Baba, Sai Baba saw in that sick leopard's eyes. Cheetah also saw Baba in such a way that he is saying that Sai Baba gave me freedom now from this world. The eyes of the leopard were tears. Baba helped him with his liberation.Baba Sai was becoming the infirm day in his last days. But he did not leave his knowledge to meet his devotees even in his illness. They had already done all their names in the name of their devotees. All his devotees were unhappy with Baba's illness and were praying that Sai Baba would recover soon Tuesday, October 15, 1918, was the day of Vijayadashami, Sai Baba was very weak. Like every day the devotee was coming for his visit Sai Baba was giving him Uri Prasad, he was also receiving knowledge from the devotee, but no devotee thought that today is the last day of Baba's body. It was 11 o'clock in the morning.It was time for Sai Baba Aarti and its activities were going on. Some Devik Prakash Baba got involved in the body.The aarti started and the face of Baba Sai seemed to change every time. Baba gave the philosophy of the form of all the Goddesses at the moment, to his devotees; he appeared in the form of Ram Shiva Krishna Vital Maruti Makka Medina Jesus Christ Aarti is complete.Baba Sai told his devotees that now you leave me alone. After all Sai Baba went away, a life-threatening cough came and the blood was vomited. A devotee of Tatya Baba was close to death, he was now cured, and he did not even know what miracle he had been doing. Baba's coming to thank Baba came to his house but Baba's worldly body was left to do so.Sai Baba had said that after his death his body will be kept in a booth Wada, he will always be able to help his devotees. Today in Shirdi, the Sai Baba's Samadhi temple, used to be the place of a bouti Wada. 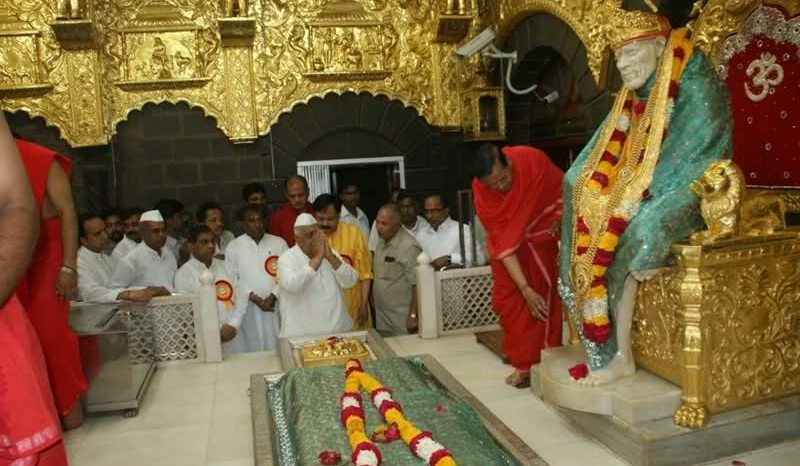 On the wish of Baba, his last body was buried at that place and then the image of Sai Baba was prepared on it. Today, devotees come from far away from the world to see Baba's Samadhi and his idol. 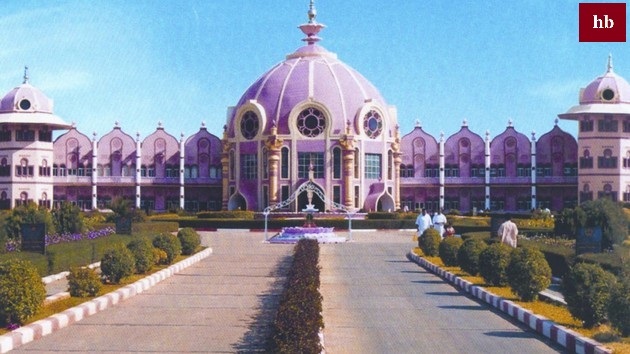 Puttaparthi is a small spiritual city of Anantapur district of Andhra Pradesh state, which is considered to be the sacred place of spiritual guru Satya Sai Baba wallpapers, and this is why it is a famous pilgrim center among tourists. 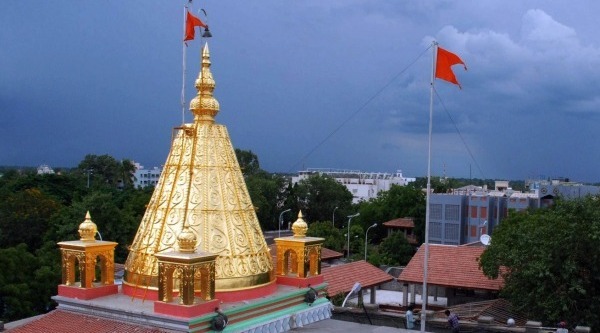 The city is situated on the banks of Chitravati river and is located at an altitude of 475 meters.